- A sleazy horror masterpiece from William Lustig. Check out the legendary Tom Savini fx. Yep! I watched this one last night. Classic! - This was a pretty nice horror flick. - Ok, so there´s vampires also in Toronto. This was an interesting horror flick. Lots of blood and skin. Nice synth score and i like the two Steve Augeri (ex-Journey) tracks very much. I watched Pet Sematary last Saturday..
Just bought the new special edition today, with a great commentary track. Wal-Mart dropped the price to $7 on these special editions. I was waiting for a price drop. - Campy and entertaining nature strikes back flick. Not really that exciting but this has some nasty death scenes. I'd forgotten how much fun this movie was! Plus the DVD is only $5.00 at WalMart. - What a strange and silly slasher this was. The plot? Forget the plot! It´s one of the craziest ever. All the girls are very pretty and sadly the drop dead gorgeous Debi Sue Voorhees got killed first. Once again there´s some cool stuff on the soundtrack. - This was a decent horror thriller. Jonathan Goldsmith and genre superstar Ken Foree. Includes nice Sherman Oaks Galleria scenes but where are the Killbots?? Debi Sue Voorhees Does she show any skin, like in Friday 5? Yes, she has a swimming pool scene. critters 3 and 4 lol so funny ! Christmas Evil--it was okay. 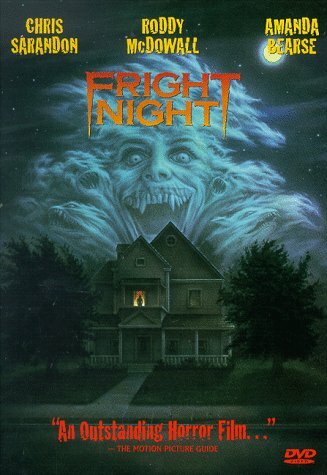 It wasn't as good as Silent Night, Deadly Night. I was beginning to question the "horror" until mid-way through the movie. It was just okay. I wouldn't rush to try to find it or anything. Netflix has it though.